Berger Picard, or Berger de Picard, originated in the Picardie region of France and is known to have been in existence for at least 1,000 years. This herding breed nearly disappeared after the devastation of World Wars I and II but is making a comeback in France, Germany, and, to a lesser extent, North America. The Berger Picard stands 21.5 to 25.5 inches tall and weighs between 50 and 75 pounds. This dog has a broad head, long muzzle, and large upright ears. Her eyes are dark, and she has a terrierlike face with a mustache, beard, and eyebrows. The tail is long. Berger Picard has a double coat with a dense undercoat. The outer coat is coarse and wiry and is about 2.5 inches long. The coat is gray, silver, or gray with reddish touches. The coat is easy to care for and needs brushing only once a week. The breed sheds lightly and has no doggy odor. The Berger Picard is a perimeter herding dog, one who runs the perimeter of the area in which the sheep are grazing, like a canine fence. Therefore, this is a very active dog who loves to run. 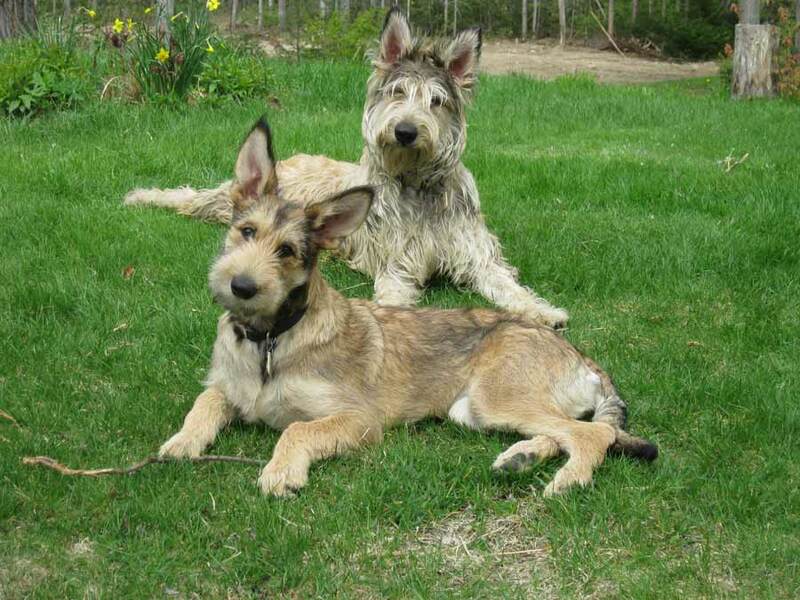 The Berger Picard dog breed will need vigorous exercise every day. Running alongside a bicycle will be great, or take her jogging with you. She will need early and ongoing socialization. Like most herding dogs, she can be reserved with strangers. She is very receptive to training, which should be firm yet fun. She will thrive in continued training, especially games or activities that challenge her. Train her in agility, flyball, or flying disc. The Berger Picard is quite protective of her family and property and is very affectionate and loyal. She’s great with children and is fine with smaller pets if raised with them. She can be a barker, and that can cause neighborhood problems. As a perimeter herding dog, she can also be a fence runner in the backyard, barking at people or dogs going past. This can cause fence-fighting issues. The breed has few health issues, although these dogs can have eye problems. Share your Berger Picard story. Note: Upload only Berger Picard picture or your picture with Berger Picard below - spammer's ip may be blocked.